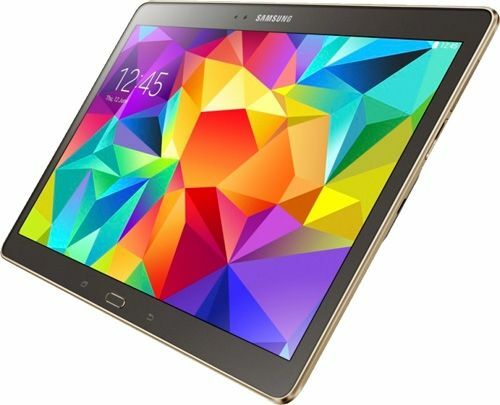 Samsung Galaxy Tab S 10.5 review - quality or just brand? 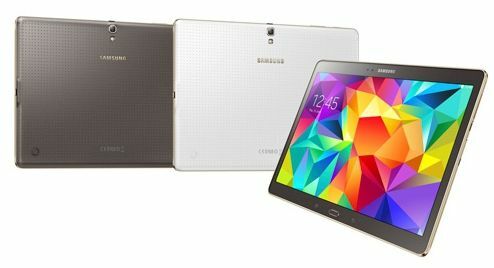 Home REVIEWS Samsung Galaxy Tab S 10.5 review – quality or just brand? 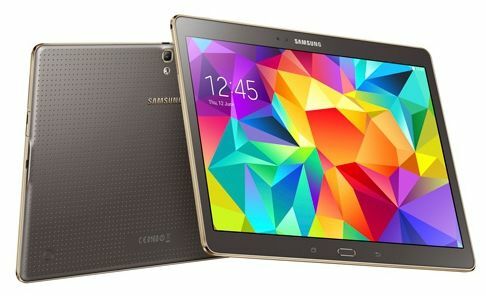 In one of the previous reviews, we are already familiar with the tablet Samsung Galaxy Tab S 8.4, but now it was the turn of a marker comrade – Samsung Galaxy Tab S 10.5 review. Both of these models came out not so long ago, and perfectly complement the line of “Galaxy tablets”. This Galaxy Tab S 10.5 review gadget is designed more for those users who are not accustomed to work, watch movies, play, sit on the Internet, using screens with a small diagonal. Device with a 10-inch diagonal corresponds to its form factor, being mobile, but at the same time, it gives more leeway. 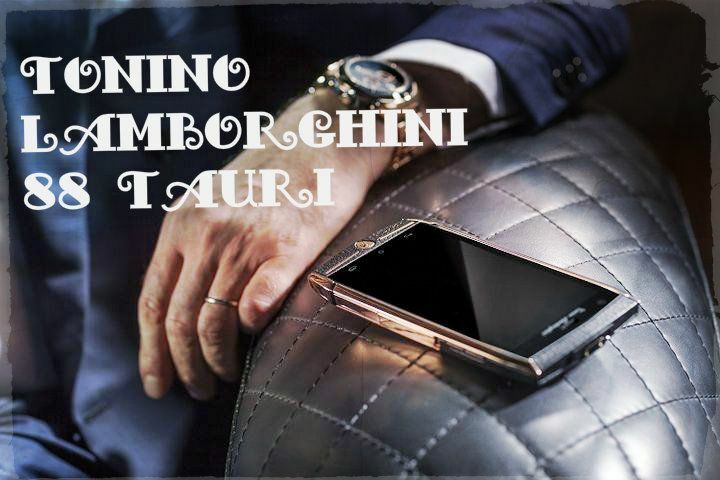 However, looking at the price tag of the device about $ 600, euphoria recedes and is replaced by the thought: “Worth It?”. 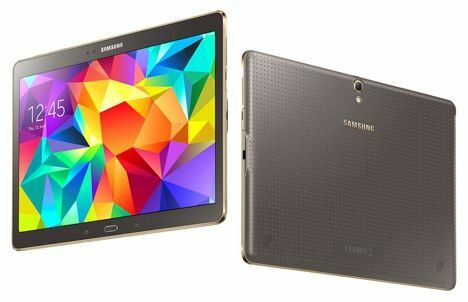 Appearance Samsung Galaxy Tab S 10.5 review is not something new-fangled or original. At its base – the plastic, a metal, apparently Koreans ignored. The back cover is the same as that of the 8-inch brother: it riddled with small punctures. Any functional load these points are not, they are here as a decoration. At the touch of plastic rather pleasant, it is important, because the frequent contact of the fingers and the cover plate inevitably, but because the user should be comfortable. Now for the cover a little more detail: almost in the middle you can see the logo of Samsung, over which – rather big lens rear camera and a light sensor. In the lower part there are two recesses circular shape, through which it is possible to connect corporate case. Perhaps this point is the not very thoughtful, because acquire cover not every user wants, and existing slots slightly spoil the aesthetic appearance of the device. By the way, you can get hold of the two protective covers to choose from: Galaxy Tab S Simple Cover, worth $ 40 on the official website, and Galaxy Tab S Book Cover, whose price is less humane – $ 70, also on the manufacturer’s website. The second cover is more functional, because, unlike the first, it covers not only the display, but the entire body as a whole. Furthermore, it can be used as a stand with three different viewing angles. However, there have covers and something in common: they cover the display, it automatically turns off, and vice versa. This tablet PC is available in two colors: white and bronze (Titanium Bronze), so fans will have to find a black alternative. 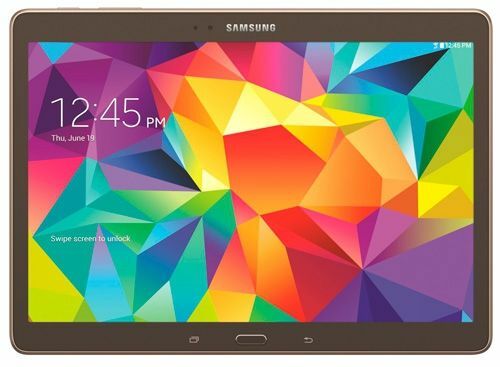 Tablet Galaxy Tab S 10.5 review orientation – landscape. By the way, when meeting with this model may seem that the edging around the perimeter of the gadget is made of metal, but in fact, it is a constant plastic. The same in style and physical button “Home”, located below the screen. The front part of the Galaxy Tab S 10.5 review does not stand out among the total weight of all modern tablets. Almost all of its surface is the display in the upper part of which settled rear webcam. 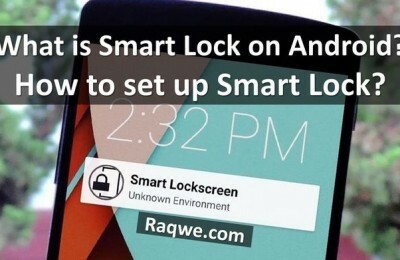 Below the screen are two touch-sensitive and one physical key. 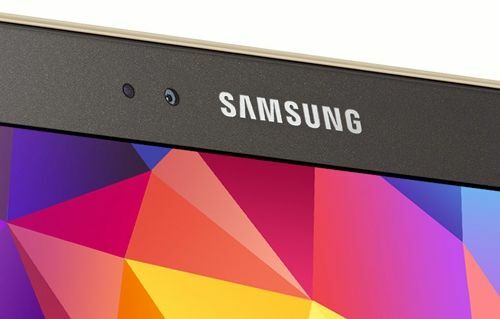 Perhaps, it remains to mention only on the dimensions that make up 247x177x7 mm and a weight that is equal to 467 g.
Considering the Samsung Galaxy Tab S 10.5 review through the prism of comparing it with the nearest 8-inch sibling, can be safely noted that the screen is 10 inches is clearly not for everybody. As an everyday assistant, a la diary, tablet too big, so they are quite comfortable. Hence, we can assume that his main focus – entertainment, such as playing games, watching videos, movies. Based on this, we should expect from the tablet good quality display and powerful stuffing. About the performance will be discussed in the relevant section, but on the screen – now, it deserves attention. Display tablet boasts matrix Super AMOLED, which is gaining momentum, becoming more popular in the tablet PC from Samsung. It is not hard to guess that the screen size is 10.5 inches. 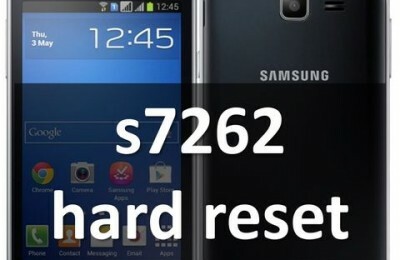 Its resolution – 2560×1600 pixels and pixel density per inch is 287 ppi. The viewing angles are very good, from whatever angle you approach, the inversion is not. It is also possible to note an excellent contrast and a good transfer of black. Brightness also did not disappoint, plus the whole, it can be set up and automatically and manually. By the way, capacitive screen supports 10 simultaneous touches. It is noteworthy that each user Galaxy Tab S 10.5 review it is possible to select a display mode according to your preferences. This may be one mode to choose from: “Premium Cinema”, “Professional Photography” and “Normal movie.” They differ among themselves, for example, the last mode shows natural colors, the second – makes the image warmer, while the first – bright. 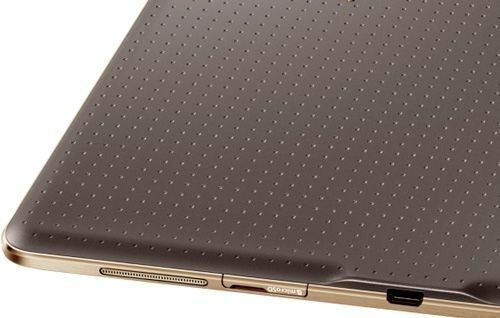 Two parallel speaker is located on the left and right side of the Galaxy Tab S 10.5 review, but not in the center, and just above that is quite rational, because the accident to cover up their hands is almost impossible. The level of sound is not bad, but, of course, stars from the sky is not enough. In any case, the quality of the sound, if desired, can be slightly improved through headphones. 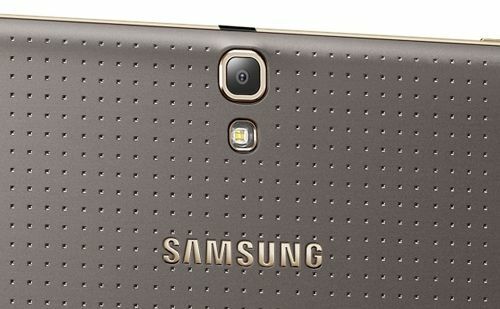 There is a tablet Galaxy Tab S 10.5 review and two cameras, without which modern user can not do. 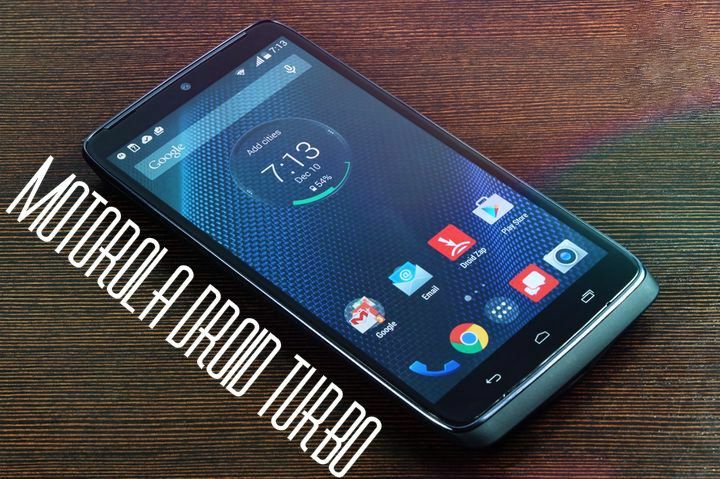 The front has a resolution of 2.1 megapixels and is perfect for communication in the network, for example, via Skype. At the rear webcam resolution is higher – 8 megapixels, which means that it can help to get enough decent photos. Perhaps a long story something about the virtual keyboard does not make sense, because today find a user who has never faced with Android, is almost impossible. The device keypad is very easy to use, its management is available and intuitive to everyone, and therefore choose the language you want, and enjoy the high sensitivity of the sensor of the tablet PC. At the bottom of the tablet, there are three other well known buttons: great physical “Home” and two touch-sensitive – “Back” and “Menu”. 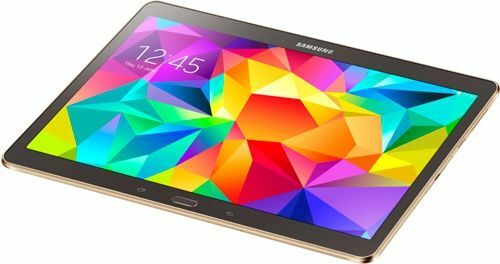 In the tablet Samsung Galaxy Tab S 10.5 review SM-T800 is the latest version of the operating system Android, namely 4.4.2 KitKat. Of course, “accompanies” her many additional software specific to your operating system. As for the processor, it is the same as that of the Samsung Galaxy Tab S 8.4: 8-core Exynos 5 Octa 5420 with 4 cores Cortex A7 (clock frequency of 1.3 GHz) and 4 cores Cortex A15 (1.9GHZ ). The peculiarity of this SoC is that it seems to be adjusted to the complexity of the problems when they are light, involving core Cortex A7, if demanding – Cortex A15. With this alternation processor may be called sufficiently economical in terms of power consumption and battery life. Graphics Galaxy Tab S 10.5 review in this case the “charge” built-hexa-core graphics ARM Mali T628 MP6 with an operating frequency of 600 MHz. The accelerator supports OpenGL ES 3.0, Full Profile Open CL 1.1. As for the games, for example, Asphalt 8, Need For Speed: Most Wanted and GTA: San Andreas start and run without problems. But Assassin’s Creed: Pirates, Modern Combat 5: Blackout pumped up, because sometimes retarding. The amount of RAM in the tablet is 3 GB standard LPDDR3-933 MHz, and the built-in – 16 GB, which, in general, should be enough for productive work on the tablet. By the way, if necessary, the built-in card reader will allow to increase the memory by another 128 GB with the help of cards microSD. Set of interfaces, embodied in the Galaxy Tab S 10.5 review, decent enough. In particular, on the left side of the device can see a combined audio jack and one of the speakers. On the right side there is a second speaker, card reader microSD and Micro-USB connector with support for OTG and MHL. By the way, MHL support is not yet very widespread in mobile devices, and a very good reason, because it is really very important and useful function. This technology is capable of transmitting a data stream comprising a 1080p Full HD-video at 60 fps on any other gadget, say, on television, and at the same time, it also recharges our plate. This means that the tablet will not run out at the most inopportune moment. 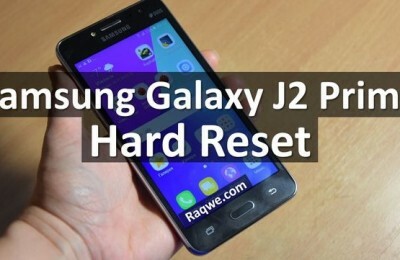 The upper part has an IR port and the volume rocker and power button gadget. As to the lower side, and there, except for a small connector for a microphone, nothing more. Next, list the sensors, which the manufacturer has not forgotten to endow our tablet PC. This gyroscope, light sensor, geomagnetic, Hall, as well as an accelerometer and a fingerprint sensor. Wireless modules in the plate are: Wi-Fi 802.11 a / b / g / n / ac MIMO, Wi-Fi Direct, Bluetooth 4.0 with supported profiles HSP, OPP, PAN, A2DP, AVRCP, DI, HID, HOGP. Convenient for payments may seem module NFC. But for the present navigation GPS and GLONASS. Furthermore, it is possible to acquire the plate version supporting LTE. 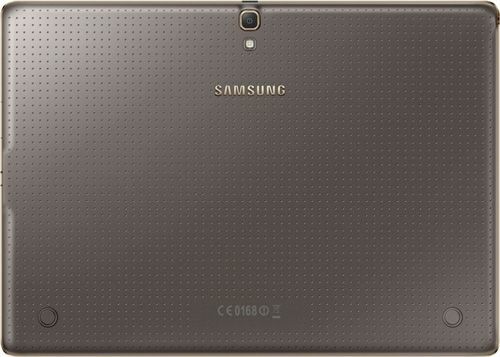 In Samsung Galaxy Tab S 10.5 review has a removable lithium-polymer battery, the capacity of which is 7900 mAh. Theoretically, with the battery duration of tablets should be high, but we will still start not from theory but from the facts. So, read-only mode “planted” the unit for about 8 hours, surfing the web – somewhere in 6 hours. If while away their time in the game, then charging the tablet enough, on average, 4 hours, and here to see the video will get much longer – about 10 hours. It is noteworthy that this tablet is one feature: when the battery is about to be discharged, but the function of the device is still necessary, you can use the regime of extreme savings. This means that the communication modules are automatically disabled, the list of applications becomes limited, and is replaced by the color displayed on the display comes just gray. Tablets from Samsung, without exaggeration, be called one of the most popular worldwide. However, following their price movements at least for the last year, we can see that with the growing popularity and value of these devices. And, of course, buyers are increasingly wondering whether it is justified that price? On an example of Samsung Galaxy Tab S 10.5 review, the average price of which, without the support of LTE, is about $ 600, we decided to look into this matter. One of the main advantages of this tablet is its screen with a resolution of 2560×1600 pixels, which ensures impeccable color reproduction, good viewing angles, as well as the lack of color distortion. This is very important because usually a 10-inch tablet designed to perform multimedia tasks for which good display – an important component. Another huge plus – it’s powerful processor and a good graphics card. Together they are able to solve even the most complex tasks, showing excellent results. 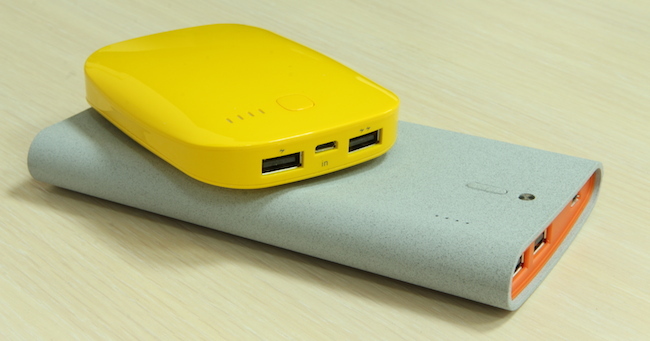 But the duration of this result provides enough capacity battery. Some important lacks in the plate was not observed, but there are observations. For example, to match the price, the device could be made with plastic and aluminum, and the increase in the amount of internal memory gadget also would not hurt. In general, the gadget Samsung Galaxy Tab S 10.5 review pleases, but if you wish, you can find a digital assistant, is not inferior in quality, with a much smaller price tag. For example, give your preference to 9.7-inch Apple iPad Air or 10.1-inch Asus Transformer Pad Infinity, released last year.